Rama’s commentary on his dispassion was adapted from a translation of the book Yoga Vasistha by the late K. Narayanaswamy Aiyer. It was first published in 1896 by Thomson & Co, Madras, India and then again in 1914 by Hoe & Co., Madras, India. The author of Rama's Most Excellent Dispassion has taken the liberty of editing the phrasing of sentences to make them more readable. The original version was rife with quaint utterances and long winding sentences as well as awkward positioning of nouns and verbs that made it difficult to read. Nothing has been changed regarding the original message. Rama’s commentary is as powerful as it is poetic having moved the author deeply upon first reading it and at every reading after that. It is because of its profound beauty that the author was inspired to set it in this book like a gemstone in a ring. One may ponder how an eloquent revelation of the delusion and suffering of humanity can be beautiful. It is not that the delusion and suffering are beautiful. What is beautiful is the bliss, love and light within our own hearts that waits to be uncovered. 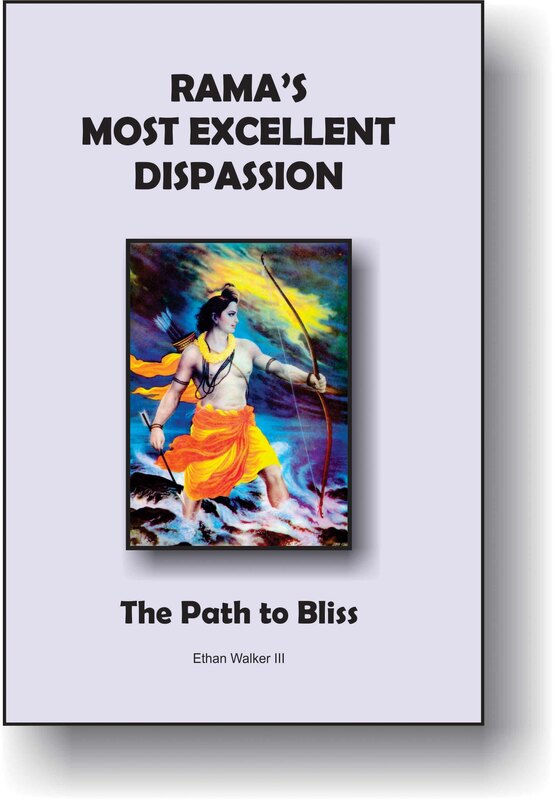 Reading Rama’s dispassion is the “uncovering” and the result is breathtaking for one who is ready to let go of worldly expectations and attachments. Rama’s most excellent dispassion is about embarking on the most excellent inward adventure. There we will find happiness and joy beyond our wildest dreams. It is for THIS that we have been searching.